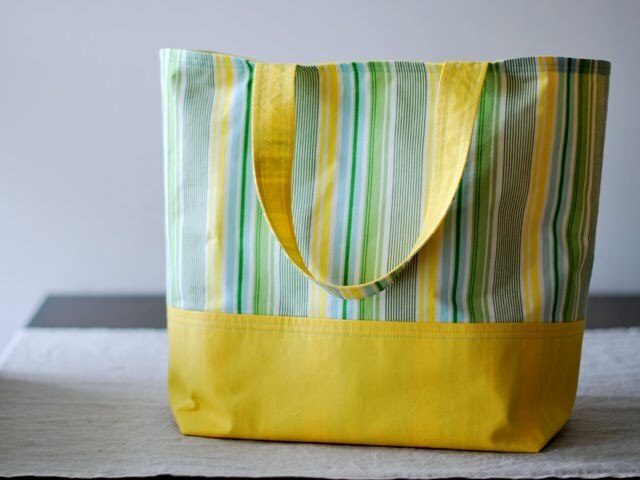 Bijou Lovely: the nicey jane market tote. 12 the nicey jane market tote. 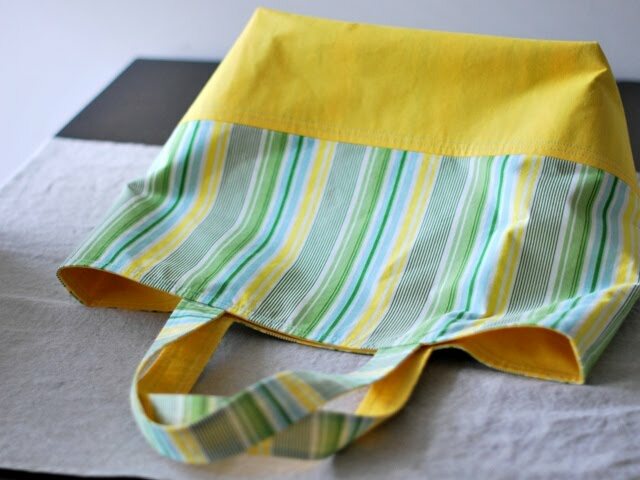 The Nicey Jane market tote for the giveaway is finished! [enter the giveaway here] Good thing I have to order more of this fabric, because I sort of want one of these for myself. 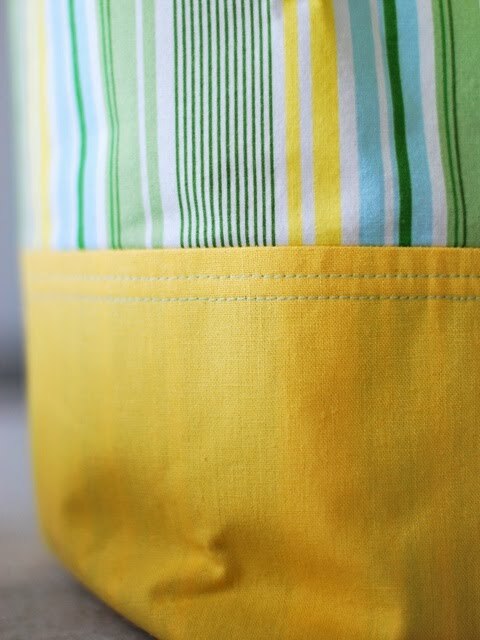 Heather Bailey's Nicey Jane Slim Dandy and a yellow linen base with aqua topstitching. 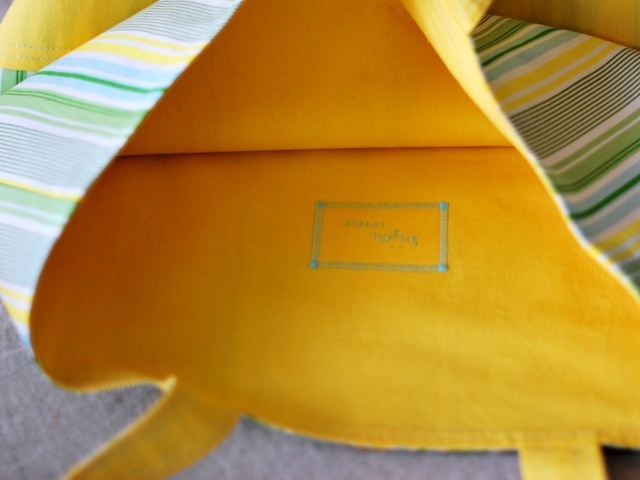 More yellow linen found inside. It's going to be hard to part with this one! I love it! Especially the aqua topstitching. Love the colors - so refreshing! It is absolutely perfect for the summer. I love those colors! I don't blame you! I'd have trouble parting with it too! if it makes you feel better, you can forget the whole picking a winner thing and just send it on to me--knowing that I will LOVE it! Love it! Crossing my fingers! ahhhhhhhh this is soo stinking pretty! the colors are just fabulous and i love that yellow is the main one, makes me smile!! i hope i win that giveaway, there is soo many entries! !